You have found Magicka School, celebrating ten years of magical training you can trust! Have you ever wondered if magick is real, if tarot can tell you truth about unseen things, and what might happen if you could commune with nature? Here at Magicka School we give you a magical training you can trust, based on decades of experience and ten years of online teaching. You can make new friends, share magical discoveries, and learn in a supportive and safe space here at Magicka School. Join 143,805 registered noviciates and get free regular spells and magical exercises delivered to your inbox with our exclusive NOVICIATE newsletter. Why not start your magical life straight away and take up a student subscription now for just $9.99/month … or save 15% or 20% when you subscribe six-monthly or annually! 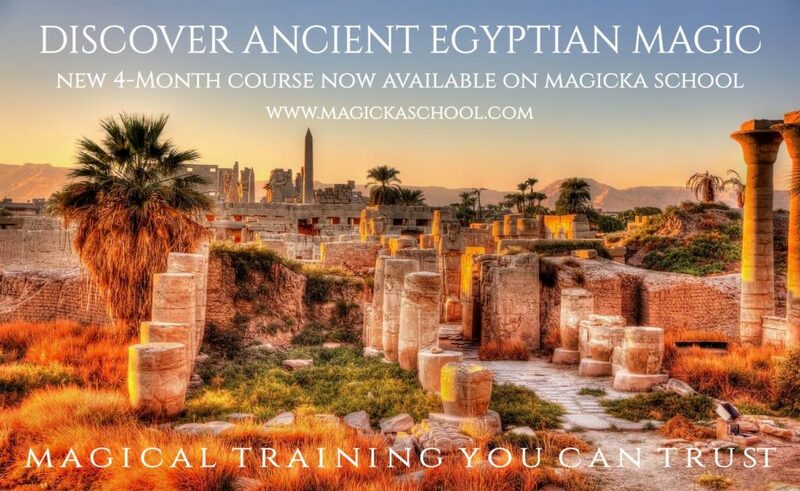 Ancient Egyptian Magick – NOW AVAILABLE! All our courses feature full reading lists, chances to test your learning, practical spellwork and rituals, optional exercises and a wealth of material. The classes are released to you every month to ensure a structured and steady comprehension of knowledge and experience. Most of the courses have 12 classes, taking a year to complete if you move on to each class as soon as the next is available and you pass the class test for that month. If you wish, you can start *all* the courses in your first month, for example, to get a great idea of the level of material to be found in the School. 100-minute video class on Tarot Spellcrafting! 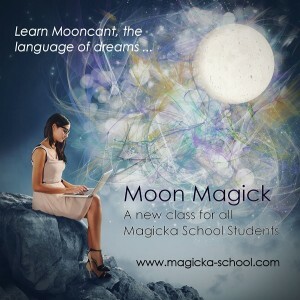 60-minute video class on Moon Magick! NEW VIDEO Class: Candle Magick for Relationships, Career and Change! 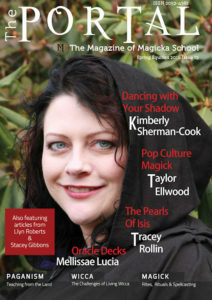 As a student, the Magicka Scrolls build up an invaluable and informed series of materials with teaching from some of the world’s best teachers and authors, and content exclusive to Magicka School. As a registered student, you also receive a massive discount on our new extensive video courses, such as Psychic Protection, The Fires of Azrael (Life & Magick of Dion Fortune) and Improving Your Visualisation, saving hundreds of dollars on the public rate. OR SAVE 15% WHEN YOU SUBSCRIBE TO A SIX-MONTHLY PLAN OR SAVE 20% WHEN YOU SUBSCRIBE ANNUALLY! Or get to know us with our Free Noviciate membership along with over 140,000 other subscribers … Become a Noviciate Now. You will receive our regular Noviciate journal with seasonal spells, solo rituals to use, recommended books and the latest news from the esoteric world. … and a new scroll every fortnight! 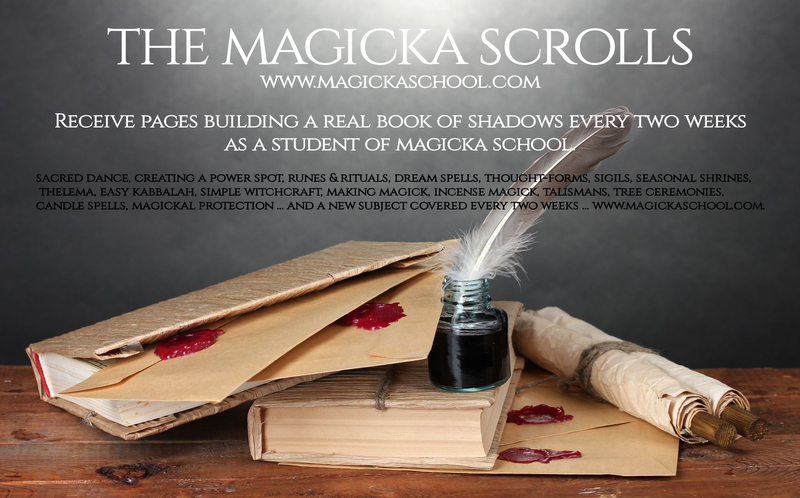 We invite you to join today and experience real magick with hundreds of fellow students in Magicka School for an education that may change your life! Here are just a few of our student testimonials. I think that the Kabbalah course is my favorite Magicka School course. I first started to really delve into the Kabbalah when I began the Beginners’ Tarot course. The further into that course I went, the more interested in Kabbalah I became. When I became a Life Member and finally had access to the Kabbalah course, it was the first thing that I signed up for straight away. LOL. I am only half way through the Alchemy course but it is excellent and of very high quality. The reading materials are brilliant. MM! I have experienced the most positive of experiences through Magicka school. The lessons are well written, easy to understand and I love doing research projects at the end of each lesson. I know you do not have to post them, but I am so grateful for those that do, as I am able to glean new understandings. This has been the best of studies I have to date undertaken and simply makes the most sense to me. It has provided a new lease on life for me. I am no longer weighed down by monotheistic beliefs, of which I have experienced throughout my life, hence a new found freedom. The moderators are very helpful and always have a kind attitude and word. This IS my family and I absolutely love it. I can not possibly express all of my thoughts here. Suffice it to say, I am free. If I had to compare this site with anywhere else, it would have to be a cross between Hogwarts and magical School in charmed..that’s how ginormous this site is, I am that impressed and I intend to make full use of it!! Thank you for magicka school/ space and for this forum guys..oh, and I know how cheesy that may have sounded, but it had to be said!! Keep up your great works, MagickaSchool! You rock!! Spellcrafting was a brilliant course. I fact I loved it so much I wish it were a little longer, I finished a couple of months ago and am missing it. But have moved onto other magicka courses and am enjoying them now instead. Enjoyed this particular 2nd state-of-the-art study course, Advanced Wicca, that implemented upon on the Wicca Revealed study course. Surely worth the member’s program price just by this course alone. Enjoyed this second Wicca advanced course which followed on from the Wicca Revealed course. Thank you to Magicka School,You show Great wisdom and knowledge on this site. What is so Beautiful though is the care you show in your students spiritual path no matter the background. What a wwonderfulgift to your fellow humans. I am so very grateful my path has led me here. I’ve always been the “crazy lady” in the neighborhood. Whenever someone got a belly ache or a bee sting, they were at my door for a cup of my tea, or to watch me mix a paste for the sting, but I was always held at arms length, always whispered about. Magicka School has given me my place to belong. I’ve now been using the net for 7 years. In that time I’ve been part of many forums, chat groups and chat rooms. Magicka is the ONLY forum I have been to where you are accepted for who you are and made to feel a part of the family. There is something very special about this place. And that’s not even counting the wealth of information and the wonderful courses they offer. I’ve not been a member long but I am truly amazed by the amount of information that I have learned. I was not new to the Craft but the more I talked to the people here and perused the courses, the more I realized I had to learn! No matter the question or thought, the people in the forum and chats respond kindly and are always willing to help you in any way that they can. I have just upgraded to student member and I couldn’t be happier with the amount of knowledge, lessons and materials that are provided. I am blessed to have found Magicka and it’s wonderful members. Magicka is a great place. At the time of posting this, I haven’t been a member for very long, but I’ve already made a bunch of friends. It’s a very supportive place, and I’ve learned heaps while I’ve been here. I really like the diversity in this website, along with how friendly everyone is. Member’s opinions vary heaps, but it’s still maintained a friendly atmosphere. All in all, I’m really happy that I found this website. From Alaska to Paraguay, from the Cayman Islands to Japan, from Tasmania to Norway and from South Africa to Iceland, Magicka School now spans the globe and has members in over 42 countries on the planet!! Currently, over 1,500 people join the site every month and, so far, 143,000 people have registered with us since March 2006. This has been possible thanks to many recommendations by our members who have spread news of the School far and wide. Why not sign up to Magicka School today and become part of one of the fastest growing websites of its kind?